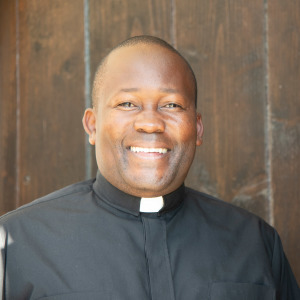 Father Sebastian grew in up in "Uganda- south of Mexico." His accent and signature poker face make many wonder whether they really learned their world geography correctly. Though San Diego is far from home, he has fully embraced the Irish heritage of St. Brigid, and loves sharing an unchilled Guiness with friends. If everything were to go his way, no one would be late for Sunday mass and he wouldn't be left wondering what happened to everyone in the 5 minutes before mass began. Make sure to greet Father Sebastian with a fist bump after mass.